Oats porridge is comfort food. Its perfect for breakfast when you do not want to cook much. I prepare oatmeal and add fruits to it. Today I made Oats porridge with blueberries and dates honey. Oats porridge cooking doesn't really require instructions but I am posting everything I cook. 1. 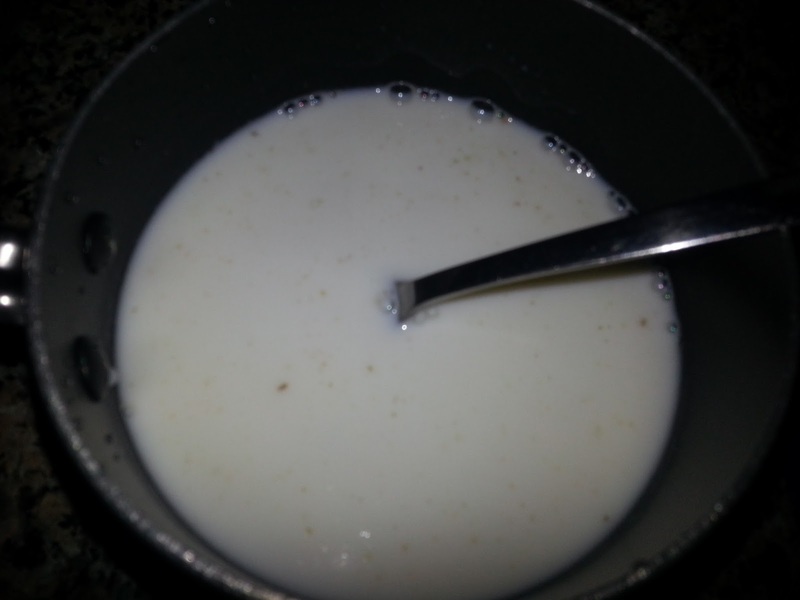 In a saucepan add oats, milk and water. Mix well. 2. Place it on stove on medium heat and bring to a boil with continuous stirring. 3. Reduce the flame to low and add washed blueberries and stir for another 5 minutes. 4. Adjust consistency as desired using some milk or water. 5. Add a teaspoon of dates honey and mix. 1. 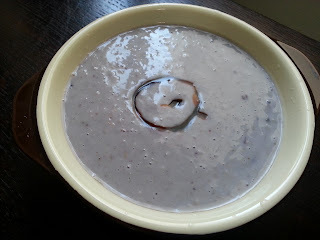 Oats porridge turns thick as it cools down so best to serve while still warm. You can thin it again by warming it up. Add water or milk only if required.